A man goes on the run after being falsely accused of terrorism. Politics - you can't live with them, can't live without them. In this age of mass communication and increasingly binary worldviews, it's become close to impossible to avoid getting riled up by the fraught political situation of the modern world, and turning on the news or logging onto the internet can be a depressing experience. Even the Star Wars franchise, a populist entertainment that should bring us all together and help us put reality aside for two hours, has become a symbol of political division. It seems the only way to avoid politics and today's culture wars is to find some remote island and exile yourself there, living off the land away from the noise of the angry mobs. That's the path chosen by Smith (Sam Neill), the hapless hero of director Roger Donaldson's 1977 debut, Sleeping Dogs. Before heading to Hollywood to helm mainstream hits like Cocktail, Species and Dante's Peak, Donaldson was a key figure in New Zealand's Kiwi New Wave of the '70s and '80s, the auteur of movies that struck a chord with audiences in his home country while attracting admiring glances form international fans of Antipodean cinema. 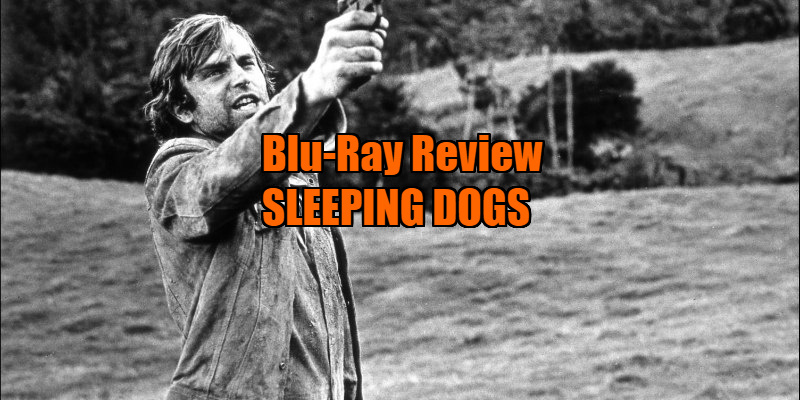 His 1981 drama Smash Palace is considered one of the key works of New Zealand cinema, and heavily inspired his compatriot Taika Waititi's recent breakout hit Hunt for the Wilderpeople, but four years prior he made his debut with political thriller/satire Sleeping Dogs. Having been dumped by his wife for another man, Smith drives off into the countryside, seeking to escape both his own heartbreak and the political upheaval that has turned New Zealand into a quasi fascist state, with leftist rebels battling a far right government. Smith wants no part of such violence, and when he finds a secluded small island with a reasonably priced rent, he thinks he's got it made. One night, Smith observes a fire in the distance on the mainland, and the following morning a squad of cops arrive to arrest him, accusing him of being a terrorist and of killing a man in a bombing the previous night. Smith is thrown into a cell and left to rot for several days before being informed he is to be tried for treason, a charge which carries the death sentence, but he will be allowed to leave the country if he confesses to his role in the revolution. Smith refuses to offer a false confession and manages to escape on the way to the courthouse, becoming a wanted fugitive. Concessions must be granted to Sleeping Dogs for the limited budget it had to work with to deliver a story with a relatively large scope. It was the first feature length movie entirely produced in New Zealand, a country that had no real film industry to speak of at the time, and reportedly Donaldson found it so difficult to finance that at one point he had to halt production for a couple of days to shoot a commercial in order to pay his actors. Despite being forced to keep his drama intimate in scale, we do get a sense of the wider turmoil plaguing the fictional, then near future version of New Zealand through TV and radio broadcasts, much like George A Romero's Night of the Living Dead. With its roster of very ordinary folk fighting a totalitarian regime in humdrum rural surrounds and its reluctant protagonist, I can't help think Sleeping Dogs may have inspired the aesthetic of Alfonso Cuaron's similarly themed Children of Men. A character piece that hinges on its central performances, Sleeping Dogs boasts the first of many likeable everyman turns from a fresh faced Neill in his first screen role, and it's easy to see why he would go on to become an international star. Warren Oates, whose casting was quite the coup for Donaldson, chews the considerable New Zealand scenery in his role as a Vietnam Vet US Army officer assigned to root out opponents of the Kiwi government. For all the good work on display in front of and behind the camera, Sleeping Dogs doesn't quite come together. As the story progresses, the film pushes its satirical elements to the fore, but rather than complementing the thriller narrative, the comedy detracts from it as the script loses interest in keeping us on the edge of our seats. There's much to admire in Donaldson's debut, and given its role in establishing a native, fully fledged film industry in New Zealand, it deserves recognition, but it essentially boils down to a riff on Woody Allen's Bananas without the belly laughs. Commentary by Donaldson, Neill and actor-writer Ian Mune; two 'making of' documentaries; trailer; and an illustrated collector’s booklet featuring new writing on the film by Neil Mitchell, a contemporary review by Pauline Kael and the original press book. 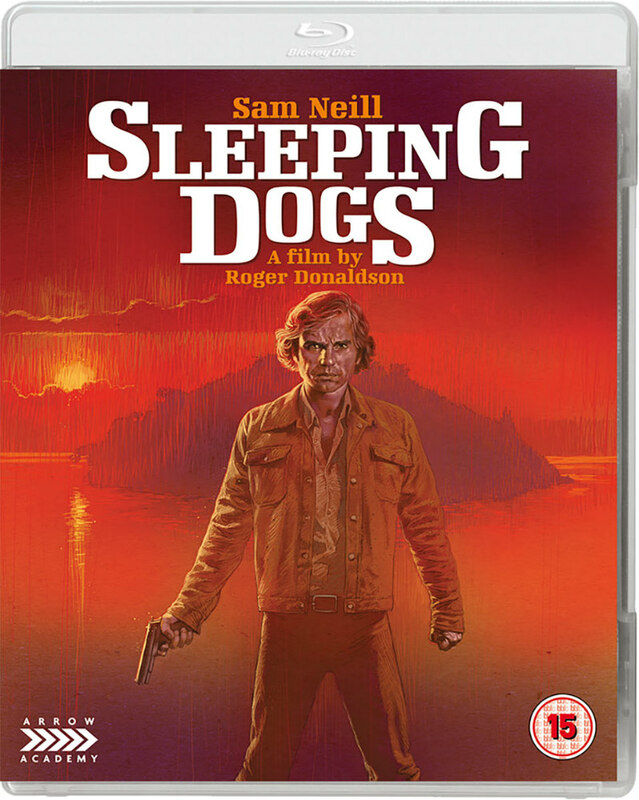 Sleeping Dogs is on dual format blu-ray/DVD April 16th from Arrow Academy.